The mountains are a pretty special place to visit, what-ever the season, and summer is absolutely no exception. 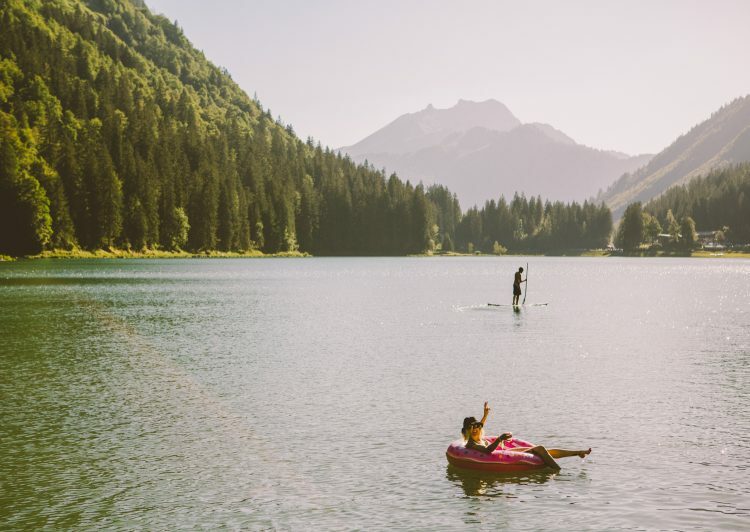 There really is something for everyone in Morzine, whether it’s downhill mountain biking, hiking or relaxing in the sun. Below is a list of what we believe to be the best things to do here. This list is in no way exhaustive and in no particular order, and we accept no responsibility for any injuries or accidents and every activity is taken at your own risk. Mountain biking – The Portes Du Soleil is world famous for the mountain bike terrain on offer. Whether you are a seasoned pro, or just getting into the sport, you will not be disappointed at what’s on offer. Morzine is located in the heart of the Portes Du Soleil, which covers 12 resorts in France and Switzerland. From Morzine, there is easy access to either the Pleney and Les Gets side, or the Super Morzine lift, which takes you to Switzerland and the famous Chatel bike park. Looking for world class steep black downhill? We’ve got it. What about the fun burm turns of the Tutti Frutti trail? Or you would rather send it over some of the jumps and obstacles in the bike park? Tick tick tick! Don’t worry beginners and families, there are also some fantastic green and blue trails to get your confidence up and whet your appetite. Hiking – There is no better feeling, than the feeling you get when you have been through all of the emotions of hiking to a top of a mountain, you reach the summit, look around and take in the views. 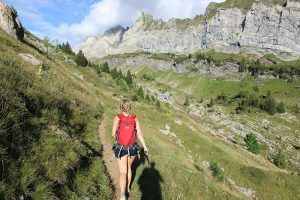 Here in Morzine, there are plenty of different levels of hiking adventures to get your teeth stuck into! The first three to conquer in our opinion would be the three mountains that stand tall over the Morzine valley: Pointe De Nyon (2019m), Pointe De Nantaux (2170m) and Pointe De Ressachaux (2173m). All of these hikes are well signposted with proper trails and varying degrees of steepness throughout, and about 4 hours round trip depending on speed and fitness. All of these hikes offer up breathtaking views of the area. Stay a while at the top and have a picnic, and watch these majestic mountains. 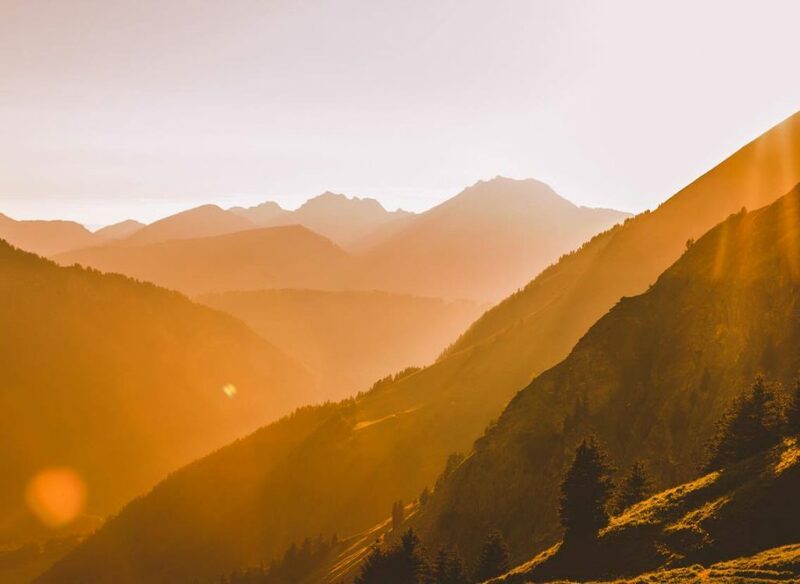 All of these hikes are accessible by foot from Morzine and Hideout Hostel itself, meaning you can celebrate at the end with a well deserved drink in the Hideout Bar after! For a slightly more mellow walk, Vallee de la Manche, and Col Du Cou. Accessible by car or bus, this valley goes out past Pointe de Nyon in the direction of Switzerland. On the way, you pass Lac Mines D’or, which is a beautiful fishing lake with a great restaurant. The valley is filled with the sound of cowbells, and make sure you keep an eye out for the Chamois goats! Roc D’enfer which stands gnarly and tall above the St Jean valley at 2243m, and includes steep inclines, scrambling and ridge lines, and is classed as a difficult hike. We would say this one is not for the faint hearted or for those among us who suffer with vertigo, but if you can overcome these fears, (or you are fearless!) it is so worth it. 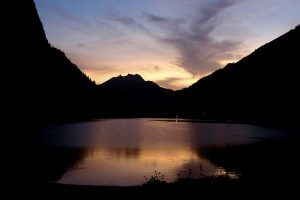 For long hikes, or for even more of an adventure, and a off the grid feeling away from the crowds, there are so many great refuges in the mountains that are a great way to spend an evening. A lot of them are catered so after a long day exploring, you can sit down to a typical savoie style feast and wine before watching the stars on the deck, and a great nights sleep. A favourite one of ours is Refuge Des Tindarets, which is about a 3 hour walk from Lake Montriond. Swim at the start of summer and it will take your breath away, as it is all snow melt! However throughout the summer, the high heat warms the lake up, and it becomes a lovely place to swim, float on your flamingo, kayak or stand up paddle board. Tip, there is a fantastic hire centre with an array of single or double kayaks and stand up paddle boards for about 15 euros an hour. There is also a smaller shallow lake perfect for families or a quick dip. BBQ’s! At the far end of the lake there are some great public BBQ’s and picnic benches for the perfect alfresco dining experience in the heart of the mountains. At sunset the views are pretty epic here too. The lake has a fantastic walking/running track the whole way round too, which is about 3 kilometres. Stop and have lunch/drinks/ice creams at the handfull of restuarants along the way. Cascade D’Ardent, is not to be missed. See below, Waterfall hunting! Cascade D’Ardent. A huge force of nature, just above Lake Montriond. Walk from the lake for about 20 minutes in the direction of Ardent and you will hear this waterfall before you see it. Make sure you walk over the little bridge that goes above the waterfall, and look down directly over the plunging waterfall. Its amazing! Cascade De Nyon. A short walk from the Nyon car park, or a 30 minutes walk from Morzine along the river, you will come across this beautiful waterfall. The first falls you get to are pretty special, and there is a fantastic view point. Make sure you walk up, past the restaurant to the second falls and pools. If you are brave enough plunge into the ice cold water for an exhilarating cool down! This is a very popular canyoning route. Check out Frogs Rafting who organise canyoning trips daily throughout the summer. Cascade Des Brochaux. This waterfall is located above the Lindaret bowl in Avoriaz, and is accessible by hiking, or on your mountain bike. A perfect location for a picnic! Canyoning – So you’ve seen the waterfalls from the viewing platforms, but you want to get closer to the action hey? 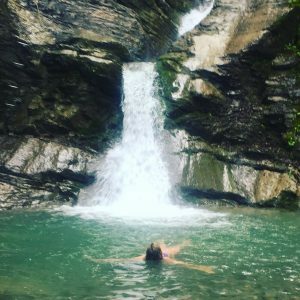 Well, good news… There are companies that take you down the canyon from the Nyon mountain, following the river, abseiling down waterfalls, cliff jumping into pools, sliding down natural chutes and seeing the waterfalls and everything the river has to offer like not many other people have. This is an incredible experience and definitely gets the heart pounding full of adrenaline. Frogs Rafting, and Nyon Aventure offer trips canyoning throughout the summer for around 50 euros per person. Via ferrata – Via Ferrata is a fantastic way to see the mountains from a different view. It is somewhere between climbing and hiking, and you are attached by a harness and rope to a steel cable. The use of metal prongs, bridges and walkways attached to the mountain rocks are in place to navigate around the mountains, and get to areas where normal hiking would not permit. A good head for heights is needed! There are lots of guides in the area that can be hired to take you on a via ferrata adventure. White water rafting – Another amazing activity that Frogs Rafting offer. We went white water rafting for our end of summer staff party, read about it here! Multi-pass activities – Whilst on holiday in Morzine, it is definitely worth buying the Multi pass, whether for a day, 3 days or a week. The multi-pass allows walkers access to gondolas and chair lifts for easy access to hiking around the mountains, but also offers entry to the tennis courts and outdoor swimming pool in Morzine. For tennis, make sure you call and make a reservation for a court, (Tennis Communaux 0033698987477) Tip, Make sure you check out the club house serving healthy smoothies and snacks after your match! The outdoor swimming pool is a great way to have a down day, relaxing in the sun by the pool. Of if you just can’t sit still for two minutes, do some laps, or send yourself down the water slide. Tandem Paragliding – Get a birds eye view of the Morzine-Avoriaz valley, surrounding mountains and catch a glimpse of Mont Blanc in the distance. With a qualified guide, you will start by running down the side of the Super Morzine fields, gaining enough speed for the wind to catch your parapente and lift you up into the sky. A surprisingly peaceful but magical experience, as you share the skies with the birds, circling around the mountains on the thermals. Thrill seekers, don’t fret!! You can opt to have your guide show you some aerial tricks like 360’s and wing over flips which will get you beaming from ear to ear. Aero-Bi and Ecole de Parapente et Speedriding des Portes du Soleil offer excursions from Morzine. Fantasticable – The fantasticable in Chåtel is the best 40 euros you’ll spend in the Portes Du Soleil! You get fitted into a harness and attached to a zip wire, before you get sent out head first over the valley. Reaching speeds of up to 100km an hour, The Fantasticable is guaranteed to put a smile on your face!! Once over one valley, you are attached to the next cable and fly again to the finish line. Road cycling – Morzine is famous for not just mountain biking, but road cycling too. It is an extremely fast growing sport with many cycling enthusiasts heading to the hills to conquer some of the famous Col’s (high mountain passes) which appear in many big cycling competitions, such as the Tour De France! 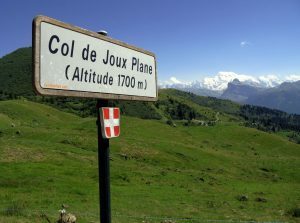 Our most famous (but challenging) ride here, is the Col De Joux Plane, which is the penultimate stage of the Tour de France. It connects Morzine to Samoens. From Morzine, you head past the Pleney and start climbing up instantly along winding roads, through mountain pastures and forests, with impressive views of the surrounding mountains, lakes and breathtaking glimpses of Mont Blanc. The gradient is a relentless average of 8.9%. Time for a well deserved lunch at the top! Col De La Joux Vert is a very popular route, starting from Morzine, assending the steep switch back road up to Avoriaz, with very rewarding views. Once at the top, from avoriaz take the road towards Lindaret and the “Goat Village” where goats roam free and is a very popular spot for tourists. There is a fantastic restaurant called Le Chaudron right in the heart of the village, Perfect for a lunch and wine stop with a spot of people watching! From here the steep hairpin road works its way down to Lake Montriond, before descending back to Morzine. Skate park – Morzine is home to a great skate park right in the centre of town. It includes a mini ramp, a bowl, boxes, rails and a super fun pump track. Pretty impressive backdrop too! Rock Climbing – There are some great spots for climbing in the region. Hire a guide and experience some fantastic routes. The Elephant Head in St Jean D’Aulps is a popular spot for all levels. High ropes course – At Cascade de Nyon, look up into the trees! You will notice ziplines and a high rope course, like Go Ape. This course is run by a small company called Cascade Aventure. A fun and challenging day out for all ages! Luge – Hurtle down the Pleney in a toboggan on the summer luge track. 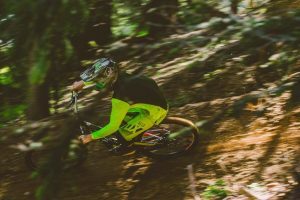 You can take this as fast or slow as you like, but it is guaranteed to be the most fun 5 minutes, and should definitely be on your list of things to do in Morzine. Note that it is closed in the rain.